Chronicling one of the greatest and most popular national cinemas, Republic of Images traces the evolution of French filmmaking from 1895—the year of the debut of the Cinematographe in Paris—to the present day. Alan Williams offers a unique synthesis of history, biography, aesthetics and film theory. He brings to life all of the major directors, setting before us the cultures from which they emerged, and sheds new light on the landmark films they created. He distills what is historically and artistically unique in each of their careers and reveals what each artist has in common with the forebears and heirs of the craft. Within the larger story of French cinema, Williams examines the treasury of personal expression, social commentary, and aesthetic exploration that France has produced so consistently and exported so well. It is the tale of an industry rife with crises, and Williams offers a superb narrative of the economic, political, and social forces that have shaped its century-long history. 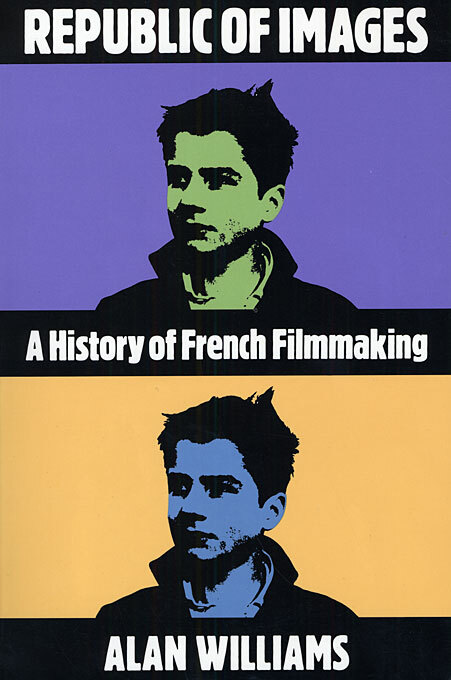 He provides biographical sketches of filmmakers from the early pioneers of the silent era such as Louis Lumière and Alice Guy to modern directors such as Louis Malle, Claude Chabrol, and François Truffaut. Some of their careers, he shows, exemplify the significant contributions individuals made to the development of French fllmmaking; others yield illuminating evidence of the problems and opportunities of a whole generation of filmmakers. Throughout, he presents critical analyses of significant films, from The Assassination of the Duc de Guise (1908) to works by the post–nouvelle vague directors. 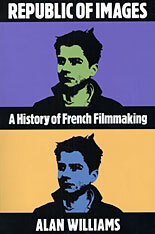 Williams captures the formal and stylistic developments of film in France over nearly one hundred years. Free of cant and jargon, Republic of Images is the best general account available of the rich interplay of film, filmmaker, and society. It will delight both general reader and student, as well as the viewer en route to the video store.